On June 19, Sikorsky Aircraft Corp. delivered six CH-148 Cyclone helicopters to the Canadian government during an acceptance celebration joined by Canada’s Defense Minister Jason Kenney, Public Works and Government Services Minister Diane Finley, Justice Minister Peter MacKay and Regional Ministers. Representing Sikorsky, a subsidiary of United Technologies Corp., was William Gostic, Vice President of the Maritime Helicopter Program (MHP), who hailed the event as «a major milestone for the Canadian Armed Forces, our industry partners, Sikorsky and all of our employees committed to this unique and highly sophisticated aircraft». The six helicopters represent the first of 28 Cyclone aircraft that Sikorsky will deliver to the Canadian Armed Forces to perform a full range of anti-submarine and anti-surface warfare, search and rescue, and utility missions in various environments. Sikorsky will introduce increased capabilities that will be phased in while the Royal Canadian Air Force determines operational strategy and more personnel are trained to fly and maintain the aircraft. More than 40 military personnel have completed initial training already. Completion of all deliveries and capability upgrades will enable replacement of the venerable Sea King fleet, also provided by Sikorsky, beginning in 2018. «In addition to today’s deliveries, Sikorsky will continue developing and enhancing the capability of the Cyclone to meet all of Canada’s required operational capabilities. In our view, the CH-148 Cyclone will be the world’s most advanced maritime helicopter», said Gostic. 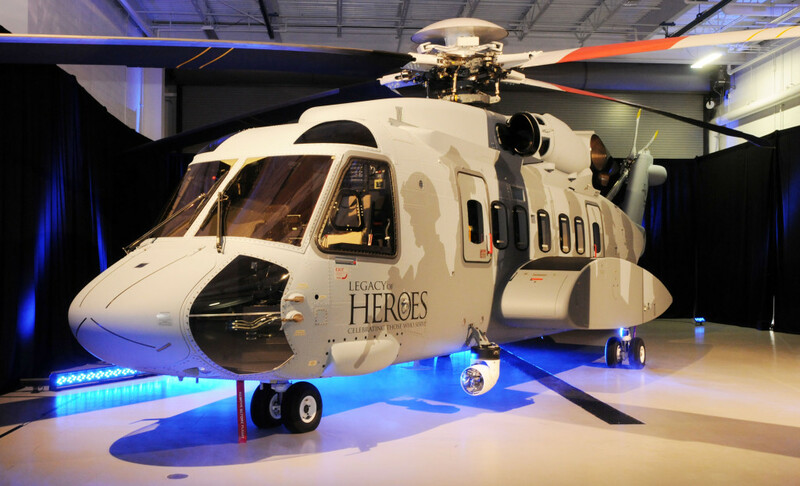 «In parallel to the development effort, Sikorsky and our Canadian partners are committed to delivering world class, in-service support of the Cyclone to the men and women who fly and maintain the aircraft. It is a privilege for us to serve the Canadian Armed Forces, and one we take with the highest sense of responsibility». «Today is an exciting day as we take another significant step forward in the Cyclone project», said The Honorable Jason Kenney, Minister of National Defense, during the aircraft acceptance celebration at the Canadian Forces’ base in Shearwater. «I am confident this modern aircraft will improve our aviators’ and sailors’ ability to work together in defense of Canada from current and future threats». The Honorable Diane Finley, Minister of Public Works and Government Services, said, «Last year our government committed to delivering the first CH-148 Cyclone maritime helicopters, and I am pleased to be here today to see them now safely in the hands of the Canadian Armed Forces. 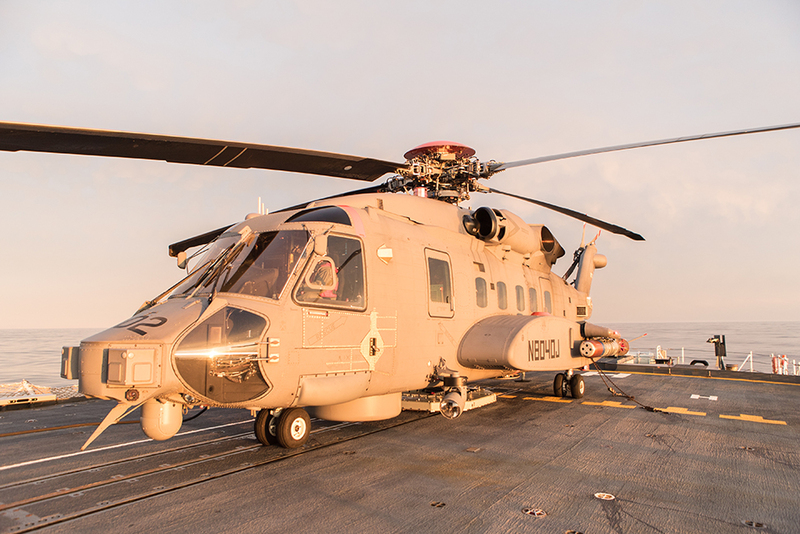 This marks an important milestone in our Maritime Helicopter Project and demonstrates our commitment to equipping our men and women in uniform with state-of-the-art helicopters». «Our government is committed to supporting our men and women in uniform across the country», said The Honorable Peter MacKay, Minister of Justice and Attorney General of Canada. «With today’s announcement, this government is once again showing its support for our forces by providing them with the lifesaving equipment they need to do their challenging job protecting Canadians». 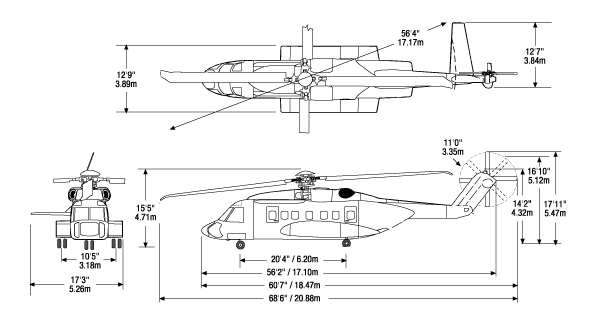 Sikorsky International Operations Inc., as the prime contractor for MHP, will build the CH-148 in Bridgeport, Connecticut and West Palm Beach, Florida. General Dynamics Canada Ltd. and L-3 MAS are principal sub-contractors to Sikorsky. Development of the mission data management system, integration testing of the integrated mission system and development of all shipboard and ground-based support systems will be performed by General Dynamics Canada Ltd. at their Ottawa and Calgary engineering facilities.